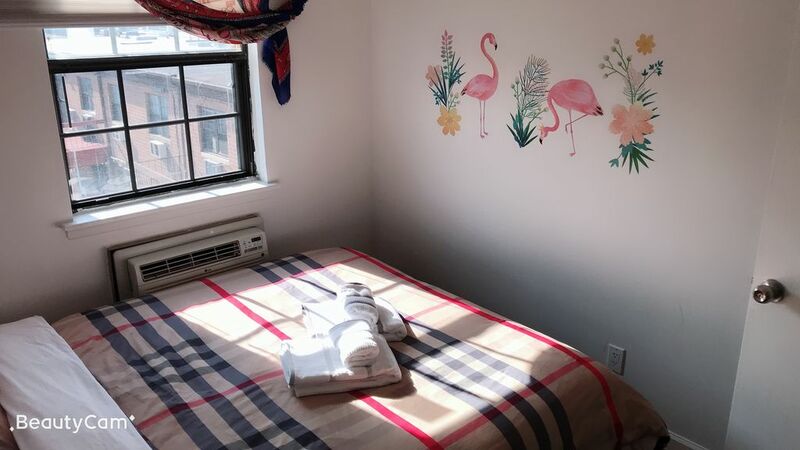 Fresh room with double bed, near by seaview park.Independent and quiet room on the third floor, shared gate entrance, stairs, kitchen on the second floor, provided refrigerator, microwave oven, etc.5 minutes to the waterfront park,20 minutes from LaGuardia Airport 30 minutes from JFK Airport,15 minutes from Queens. The community is quiet and the air is fresh and natural. Easy parking around the place.